In preparation for the festive period, we assisted in a branding refresh of one of world’s foremost authorities in mince pies, sherry and well behaved children. We are, of course, talking about Santa Claus. 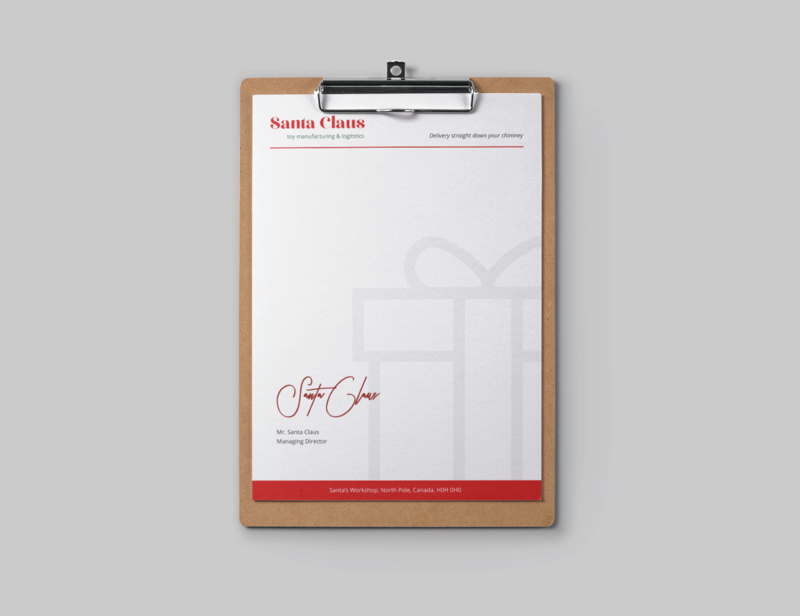 Operating out of his purpose-built factory situated at the furthest reaches of the Northern Hemisphere, Santa Claus has been distributing toys and gifts to millions of children all over the world for as long as any of us can remember. It was primarily for this reason that a brand refresh was required; a fresh new image that would bring Santa up-to-date and differentiate him in a competitive market-space that has become increasingly crowded since the first ever department store Santa was introduced in 1890. Despite popular belief, Coca-Cola did not put together the image of Santa we all know and love today. It is actually cartoonist Thomas Nash who is credited as the first person to portray Santa almost exclusively in red and white back in 1870 — and from the outset we knew it was important to remain faithful to these widely recognisable elements established more than a century ago. 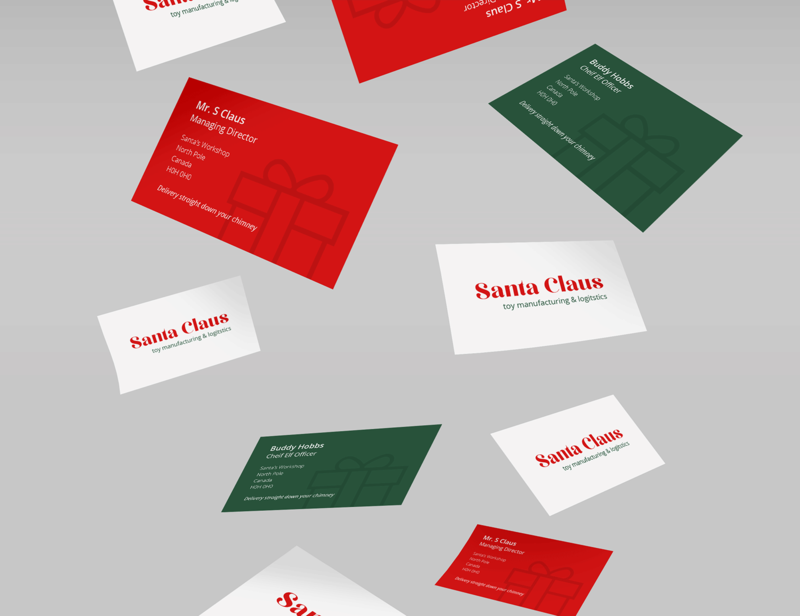 The newly designed logo was carried across external marketing assets including business cards for Santa and his multiple staff (over 180,000 elves working around the clock for a whole year! ), a newly devised letterhead to send out to all the boys and girls who write to him (which, as it turns out, is quite a lot), and brand messaging for his shiny new fleet of Ultra-Low Emission Vehicles. 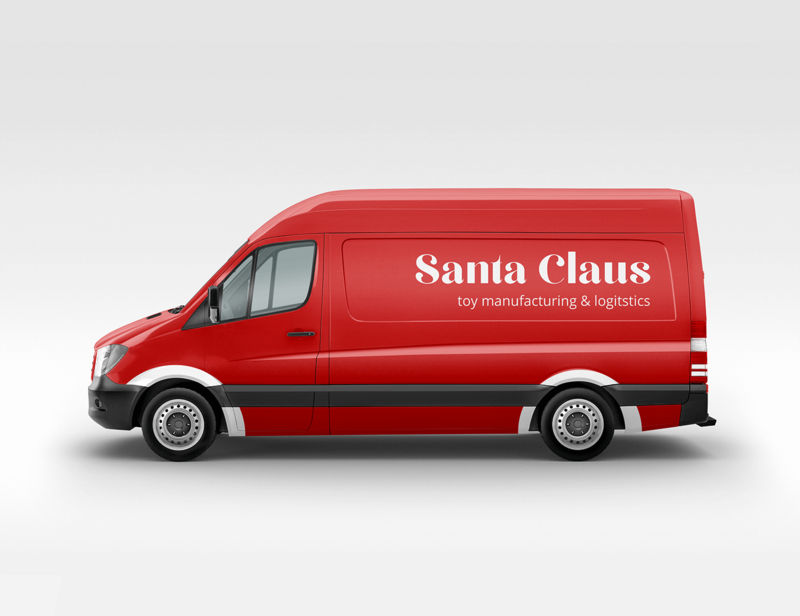 To bring Santa up to date with contemporary practices, his sleigh was replaced by a fleet of ULEV’s, producing up to 40-times fewer carbon emissions than reindeer. 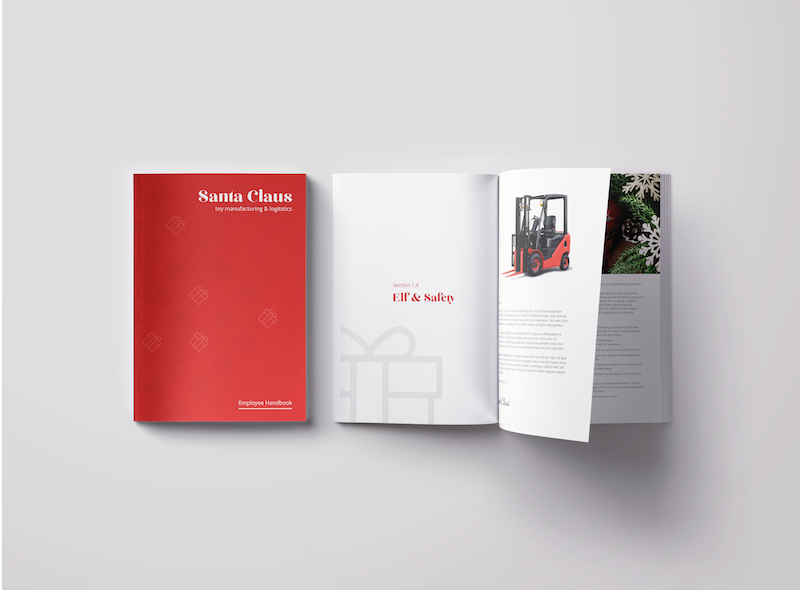 In addition to the suite of new external marketing materials, a complete redesign of Santa’s existing employee handbook was undertaken to increase engagement and help enforce brand consistency across all internal practices and operations, from manufacturing and delivery, to customer services and Elf-Resources. Don't miss out! Get our monthly newsletter with the best informative and amusing articles from our blog. Don't worry, you can unsubscribe any time.